The best of laid plans are the only plans that you really want when it comes to your estate and your legacy. After all, your estate will be passed on to your loved ones when you are no longer here, and that means that you need to protect it as veraciously as you protect them. Attorneys like Joe B Garza have helped countless people properly protect their estates; here are a few reasons why you should consider asset protection. With estate taxes at one of their highest points ever, it’s never been more important to seek adequate estate planning for asset protection. The simple matter of the fact is that why should nearly half the estate be taken away, especially considering that this money has already been taxed during your lifetime? With proper estate planning, you can maximize the distribution of wealth to your loved ones. Liability is a huge concern, too. So why take this unneeded risk? With proper asset protection and estate planning methods in position, you won’t have to worry about liability robbing you estate. Lawsuits and creditors can come after you at any time, hounding you and stealing your wealth from you. When that wealth is properly protected, however, they can bark all they want but they will never really be able to take a bite out of your wealth. 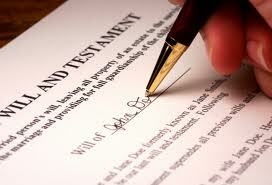 Learn more benefits of estate planning by Joe B Garza.